A morning of math problems and spelling lessons can work up an appetite in a student, even one who’s already eaten a balanced breakfast. “You’ll have that initial energy boost, but after being in class for a few hours, you get tired,” said Harry, a sixth-grade student at Presentation B.V.M. School in Cheltenham. 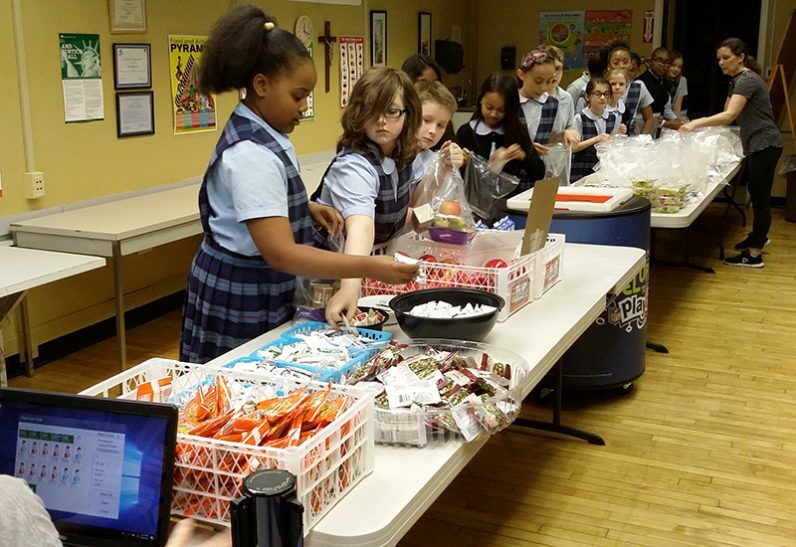 Like 30,000 other students in the Archdiocese of Philadelphia, Harry enjoys a free school lunch provided by Nutritional Development Services (NDS), a division of archdiocesan Catholic Human Services. NDS partners with 100 schools to make the National School Lunch Program available to students at a reduced price or at no cost. Funded by the U.S. Department of Agriculture and the Pennsylvania Department of Education, the NDS school meal initiative provides students with one-third of their daily requirements for calories and nutrients. The selections include proteins, whole grains, fruits, vegetables and low-fat or fat-free milk. Strict federal guidelines regulate sodium and saturated fat content. Foods must not contain any trans fat, and the total number of calories per meal must range between a minimum of 550 and (for grades six through eight) a maximum of 700. “After lunch, you get that energy back to carry you through the rest of the day till dinner,” said Harry, who was preparing to enjoy macaroni and cheese with milk, cookies and an apple during a recent lunch break. Child-welfare advocates have long recognized the connection between learning and lunch. School meals developed in both Europe and the United States during the 19th century, when the main meal of the day was served at midday, rather than in the evening. But there’s a backstory behind that noontime burger, as policymakers have disagreed as to what should be on the federally funded menu. Debates aside, students at the NDS school sites are embracing healthier meal options without much prodding, according to staff. With five of her six children enrolled at the school, Hurst can personally attest to the value of the program. She’s also adept at handling fussy eaters. “We’ve heard every story about food, every excuse,” she said. To introduce students to a wider variety of vegetables, she and colleague Lauren Pembroke take a creative approach. 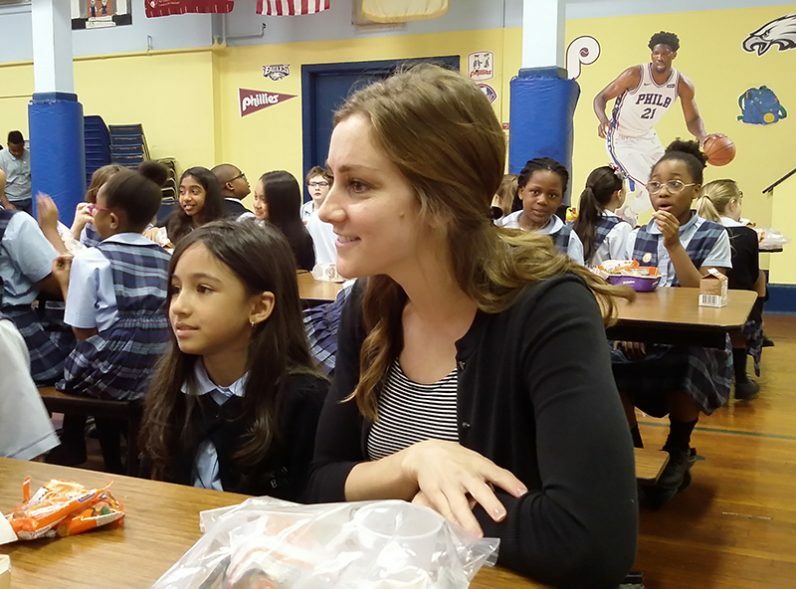 Through both its school lunch and breakfast programs, NDS serves approximately 4 million meals each year to area children, according to Brooke Mullen, the agency’s assistant director of community relations. And although the school year is coming to a close, the kitchen remains open, thanks to NDS’s summer meals program. 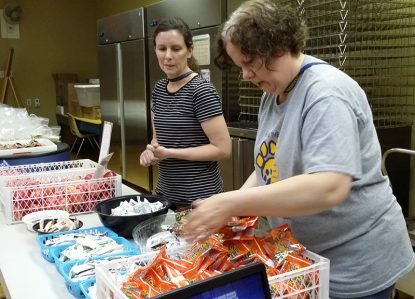 Working with over 450 churches, agencies and feeding sites, NDS provides boxed lunches — along with either breakfast or a snack — at no cost to children in areas served by the school meal programs. Because the program encourages nutritional education, Hurst is confident that students will continue to make healthy eating choices outside of the classroom.